Color planning is made simple with our Ayurveda Essence system. Choose from combinations and create an environment to fit your personality. 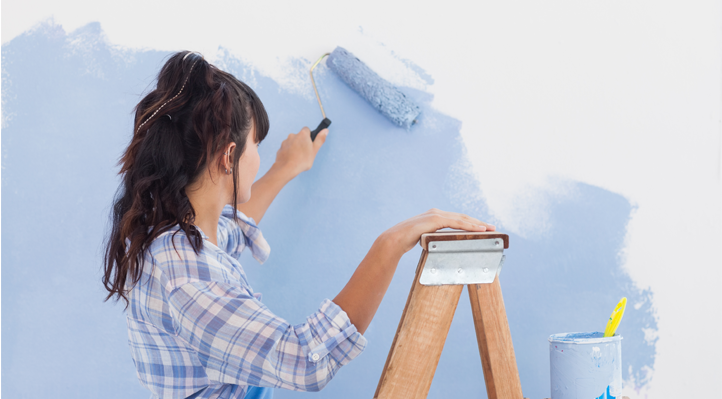 After you’ve masked wall edges and corners, begin with a layer of Safecoat Transitional Primer. This will ensure a smooth application and eliminate residual off-gassing from the old coat. Take a 10 minute break to dry. Then use quick-curing Safecoat Zero VOC (Eggshell or Flat) enamel paint for a superior finish. In approximately two hours, remove masking tape and enjoy life in your new living area.